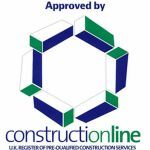 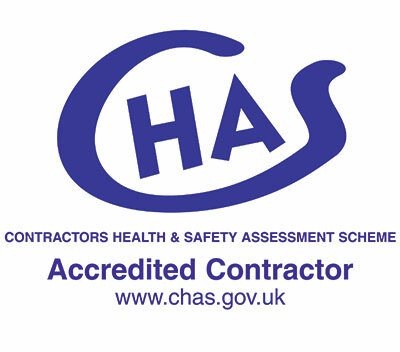 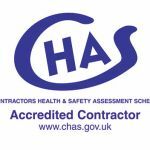 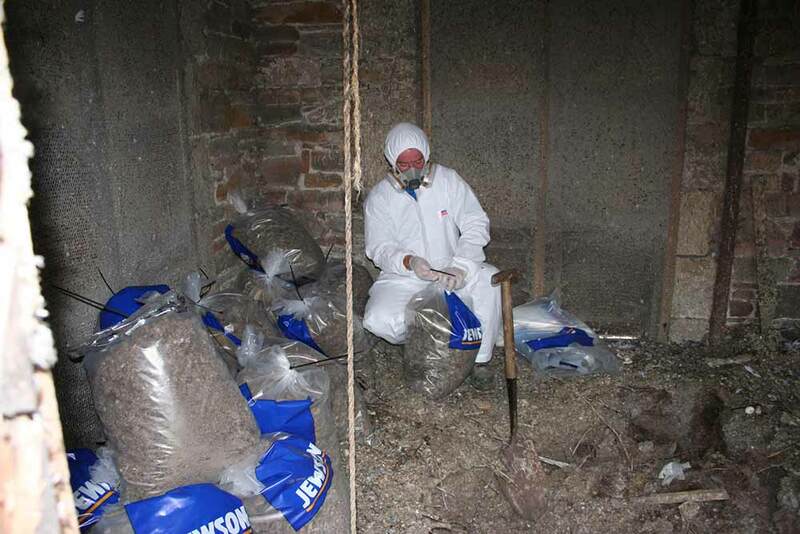 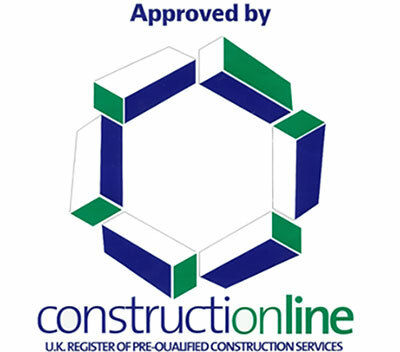 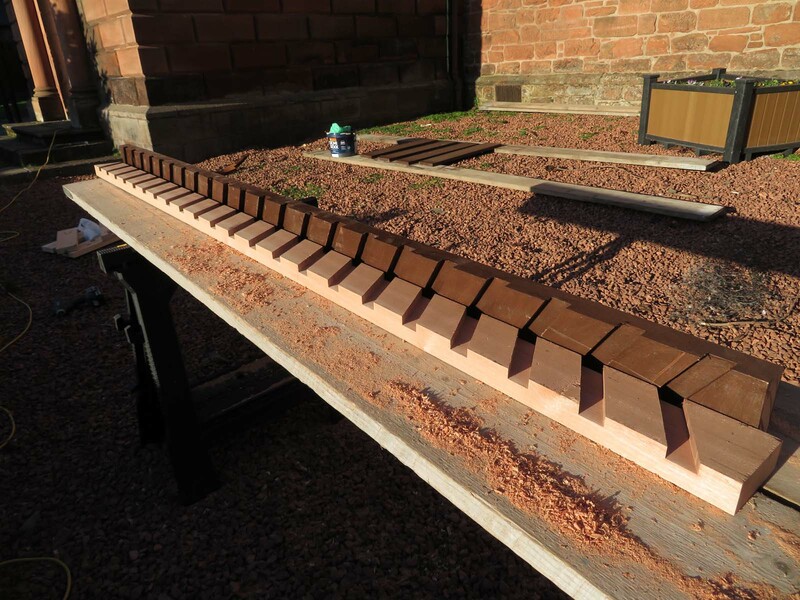 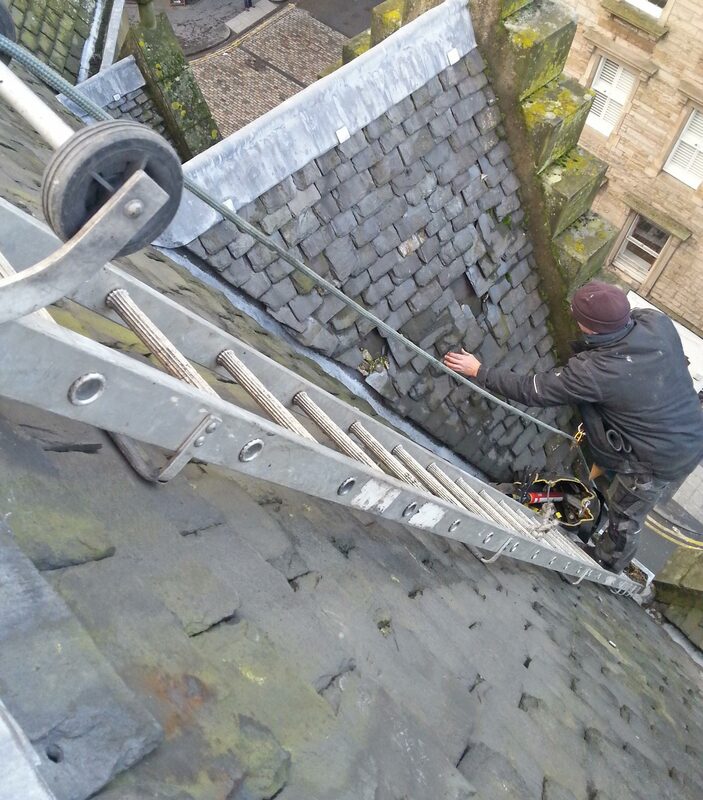 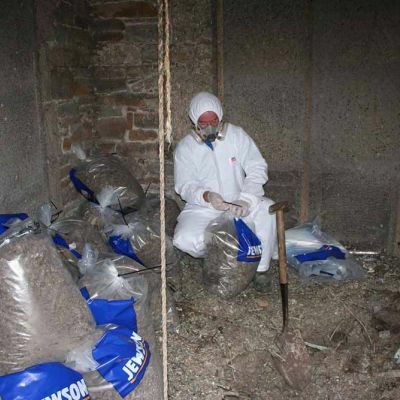 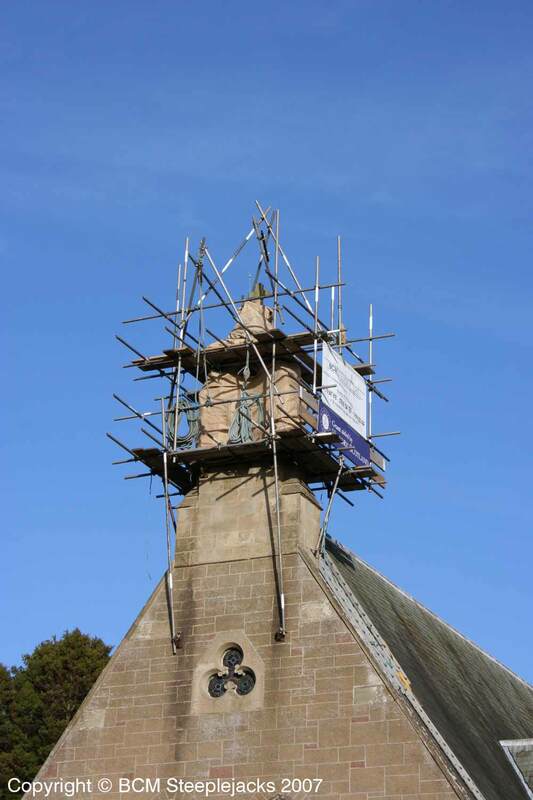 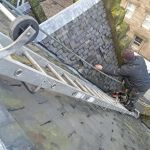 This job took place in Melrose in the Scottish Borders (the firm’s home town). 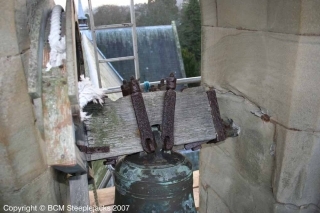 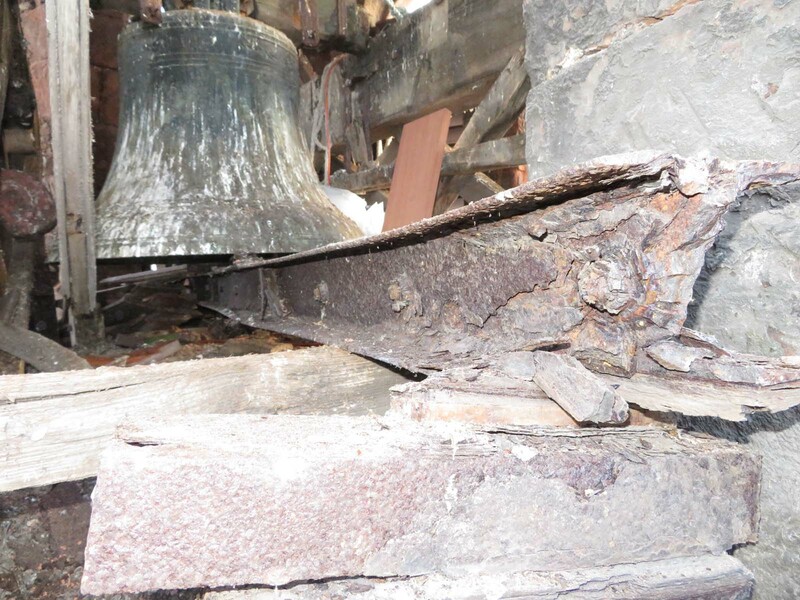 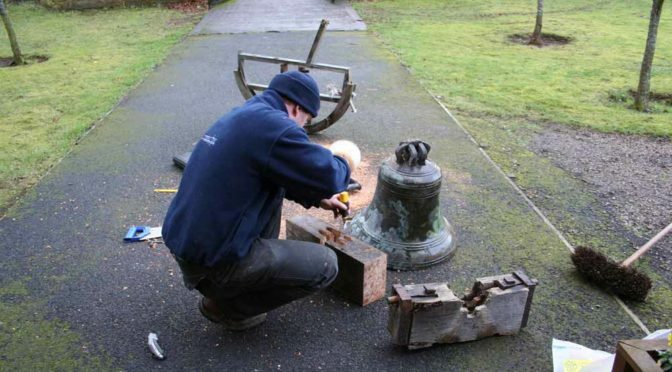 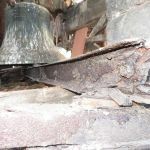 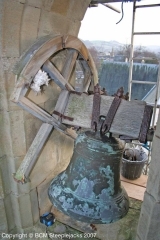 The bell had not been rung for a long time as pieces had fallen off so it was considered dangerous. 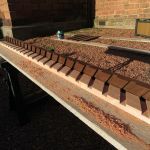 The timber headstock had shrunk so everything was loose, the bell wheel was falling to pieces, the ironwork was in need of attention, and both of the stones into which the axles were anchored were badly eroded and needed replaced. 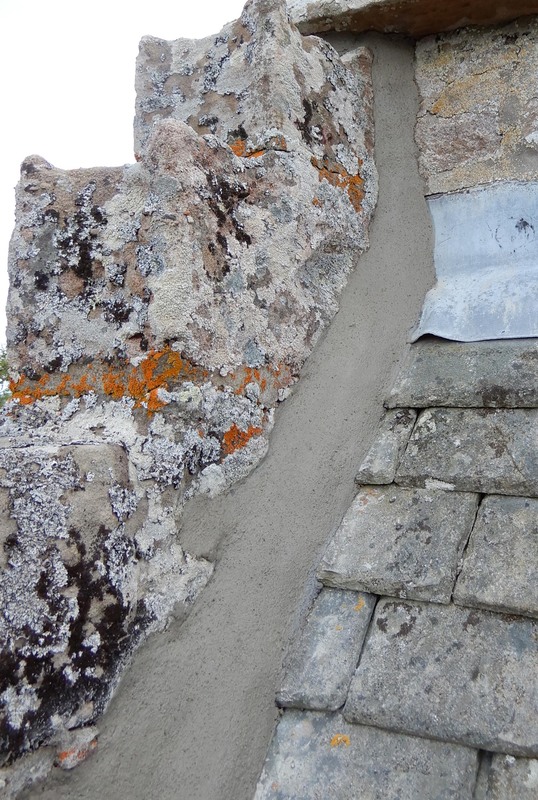 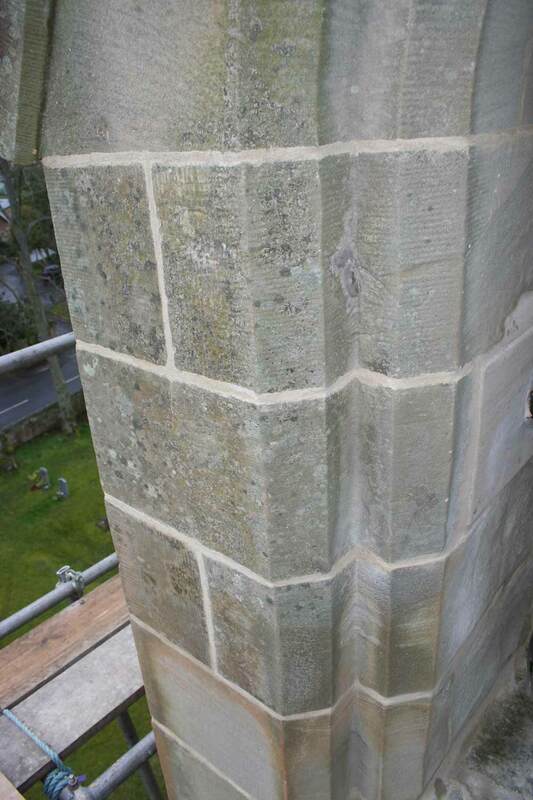 Also, the stones at the head of the belfry were insecure, and the entire structure was in need of lime pointing. This is how the belfry looked before work began. 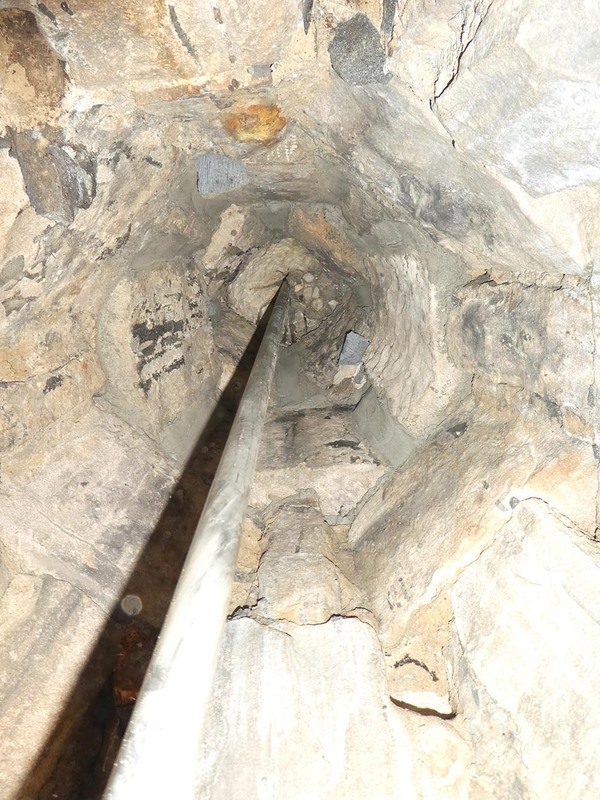 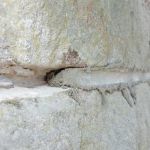 This view shows the condition of one of the “axle bearing” stones. 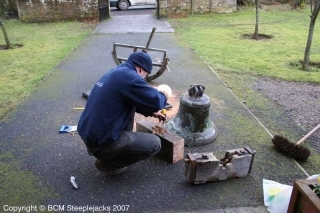 Once the bell and its components were lowered to the ground our blacksmith began refurbishment of the metal parts that were fit for reuse, and construction of a new bell-wheel. Our first task was to create a new timber headstock. 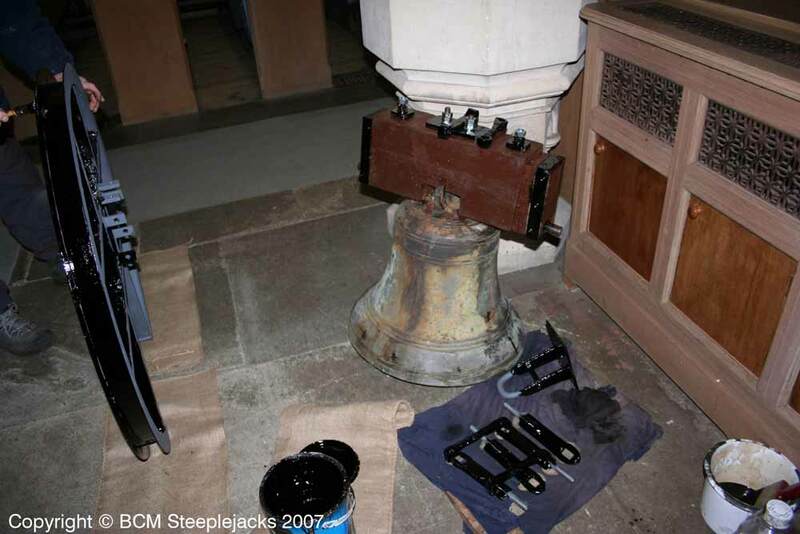 This is a painstaking job as the block has to be cut out so that it fits perfectly over the bell shackles. 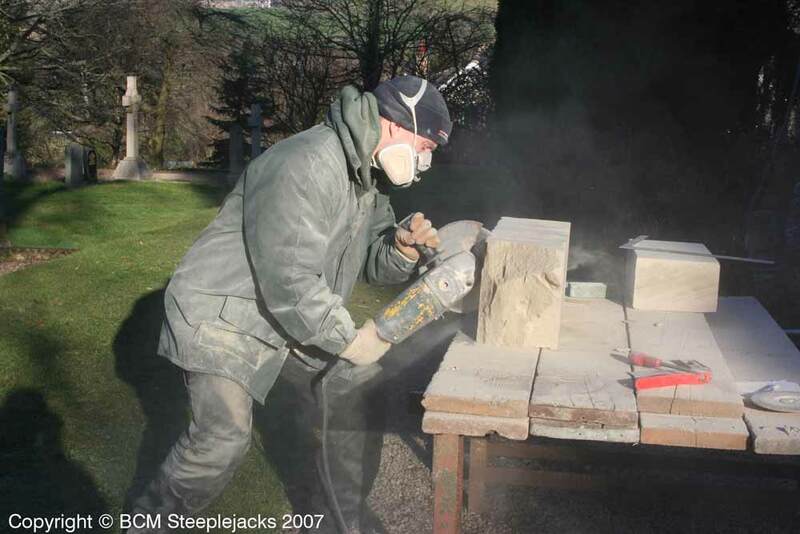 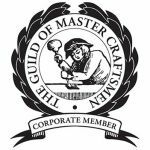 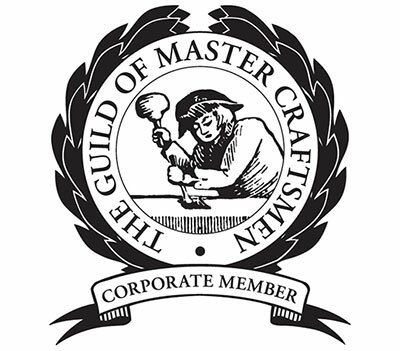 Elm was used as it is a very hard and durable timber. 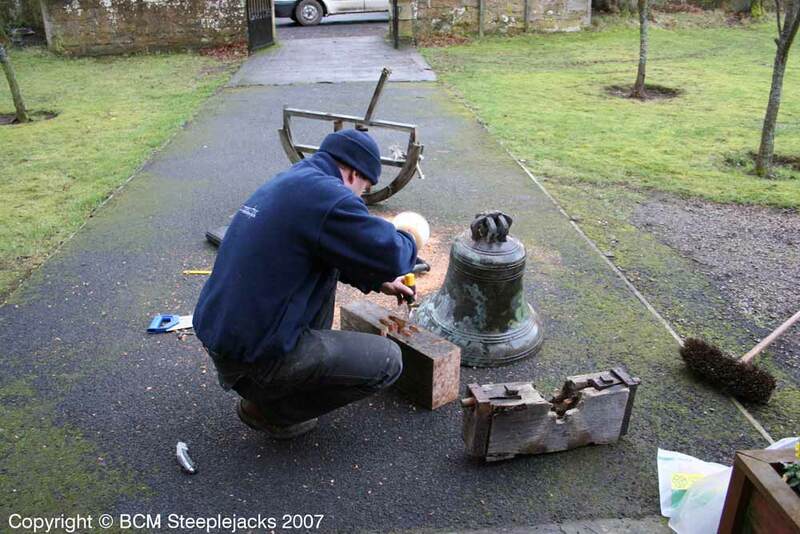 Next we cut 2 new stones to replace the “existing axle” bearing stones. 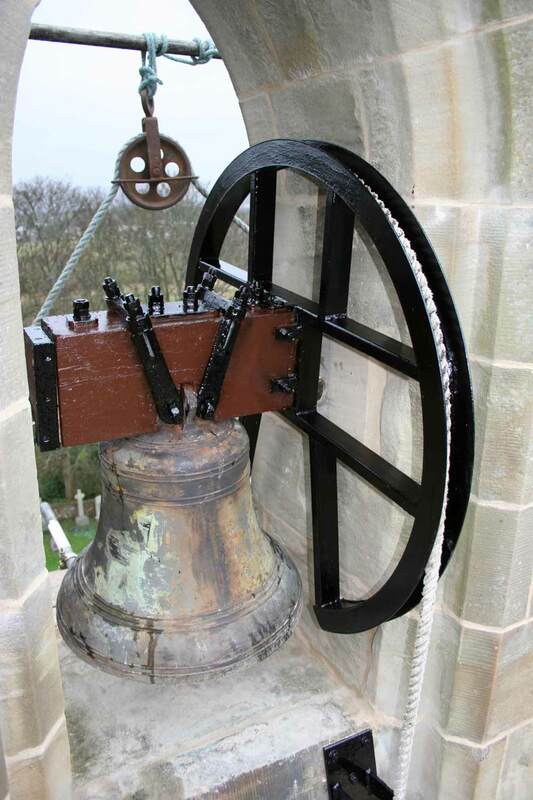 New bell wheel and refurbished components now received from our blacksmith and getting their first coat of paint. 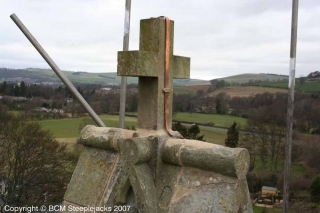 Also, the new headstock is already part fitted. 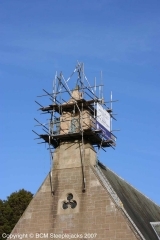 Belfry wrapped in heavy hessian sheets once the lime pointing had been completed. 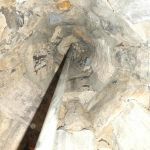 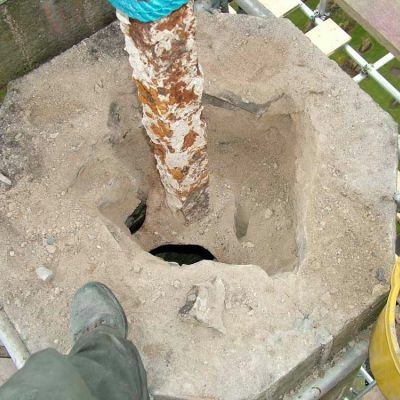 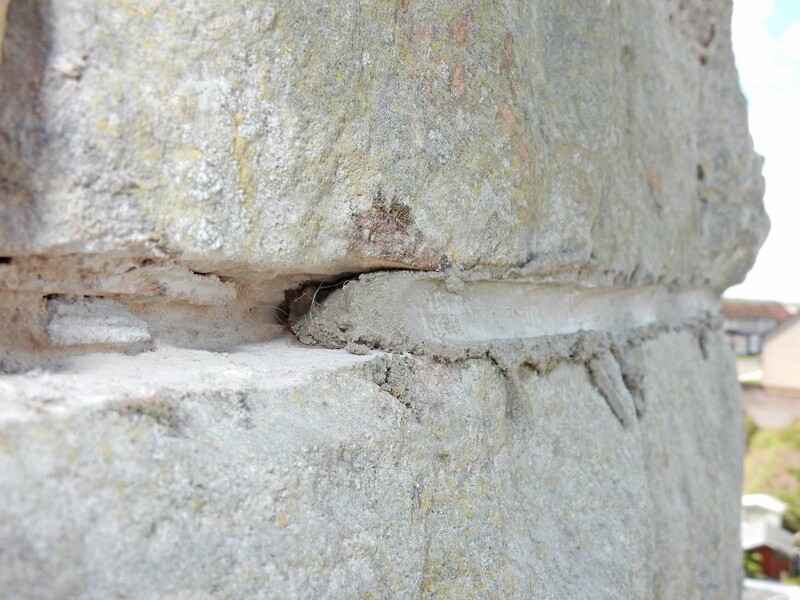 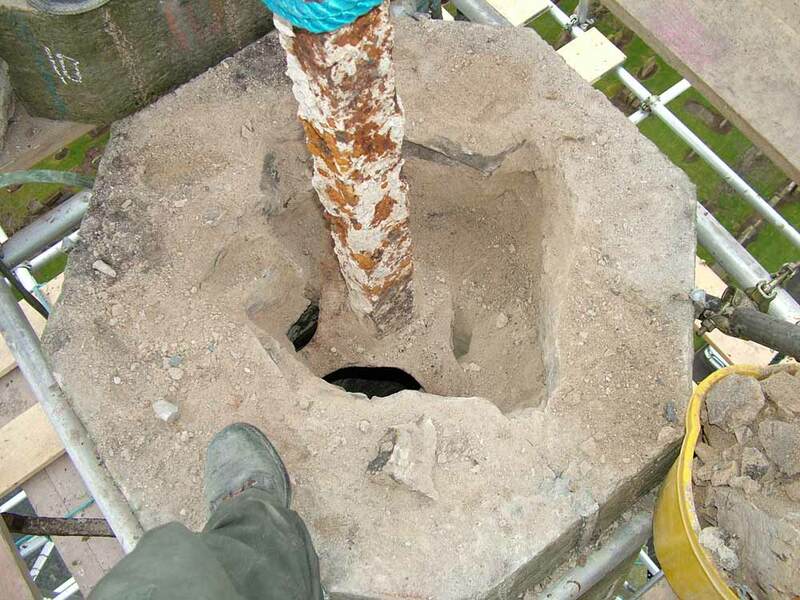 If lime is allowed to dry too rapidly it will not reach its full strength, and cracking can be caused as well. 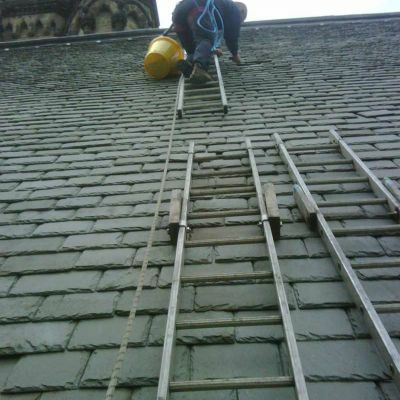 The hessian sheets help to hold moisture in the lime for longer. 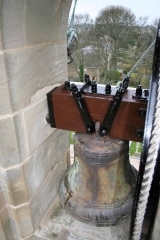 They also protect it from adverse weather conditions. New stones built, bell fully assembled and working perfectly, and belfry pointed. 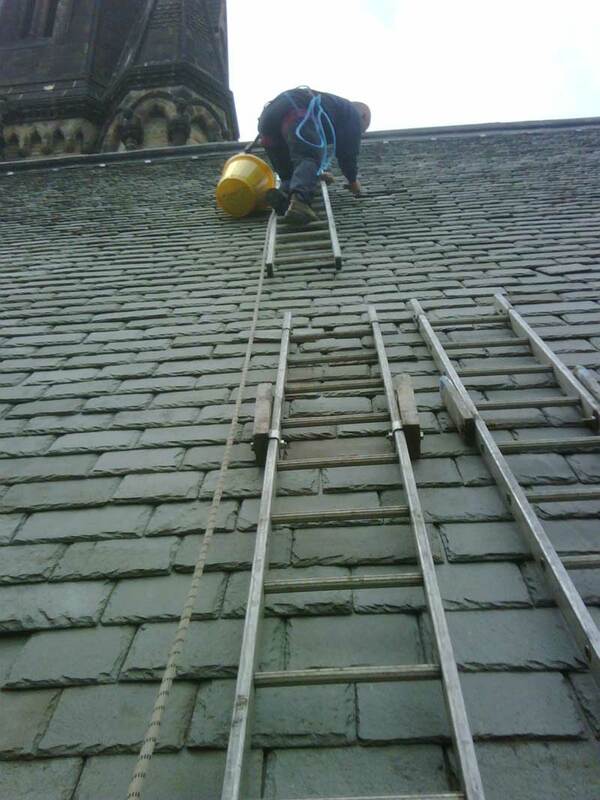 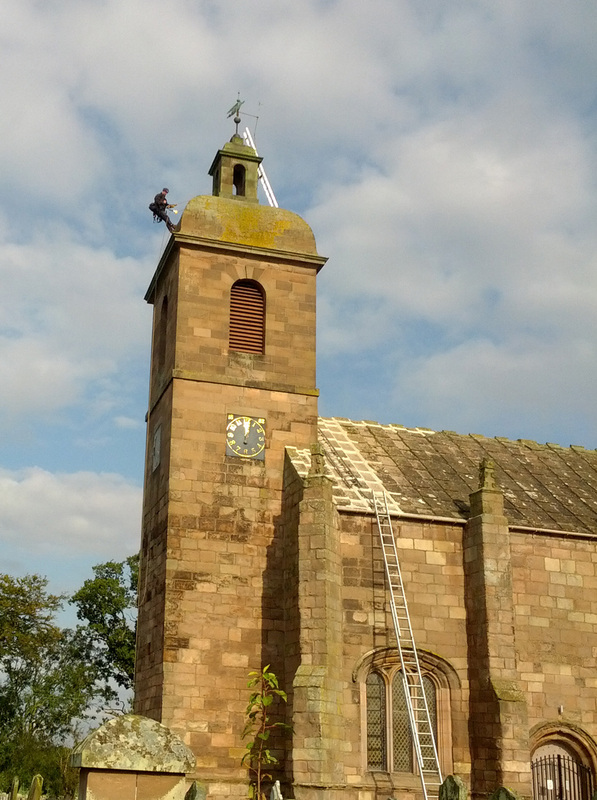 Lime pointing on the belfry. 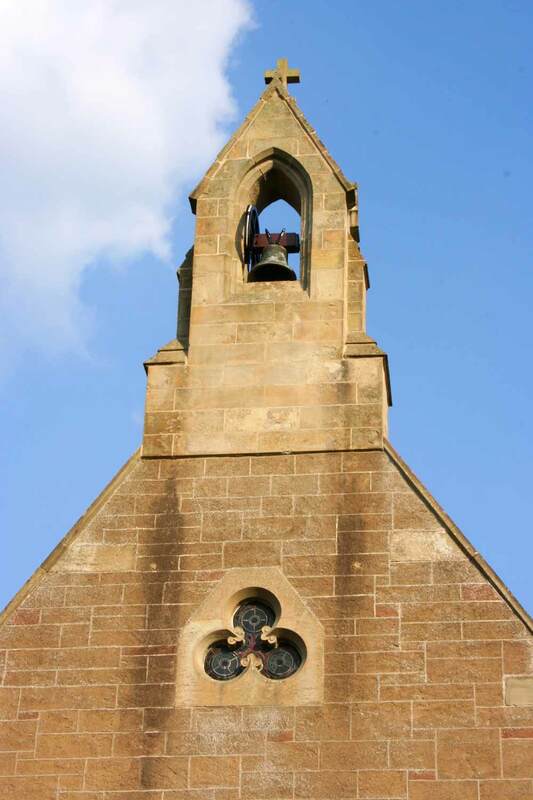 The rebuilt head of the belfry. The 2 end stones and the cross were all cracked and unstable. 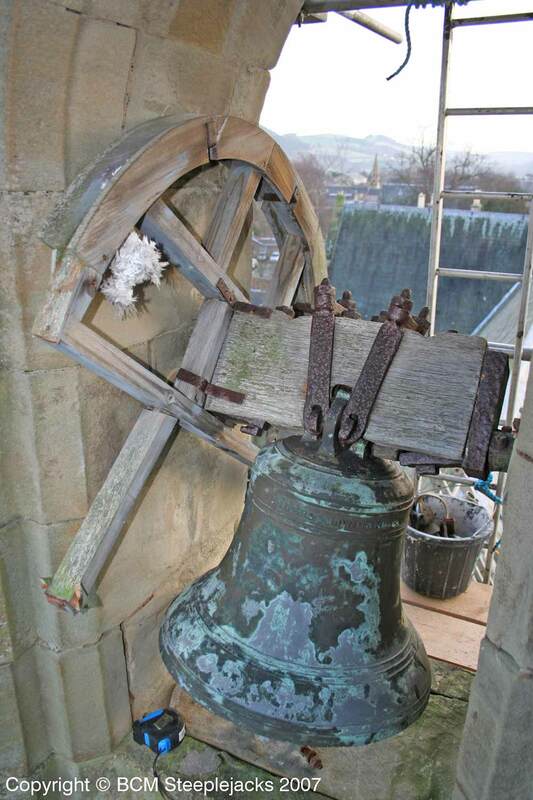 They were dismantled, repaired using a combination of polyester resin, dowels, and cramps, and subsequently rebuilt. 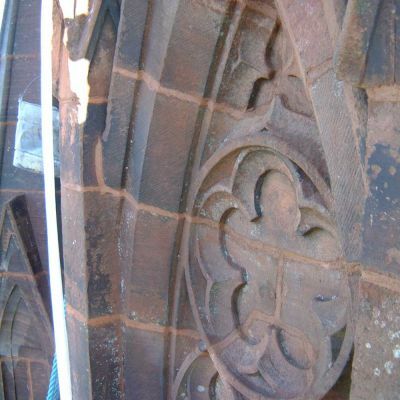 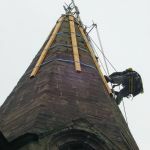 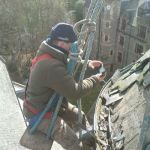 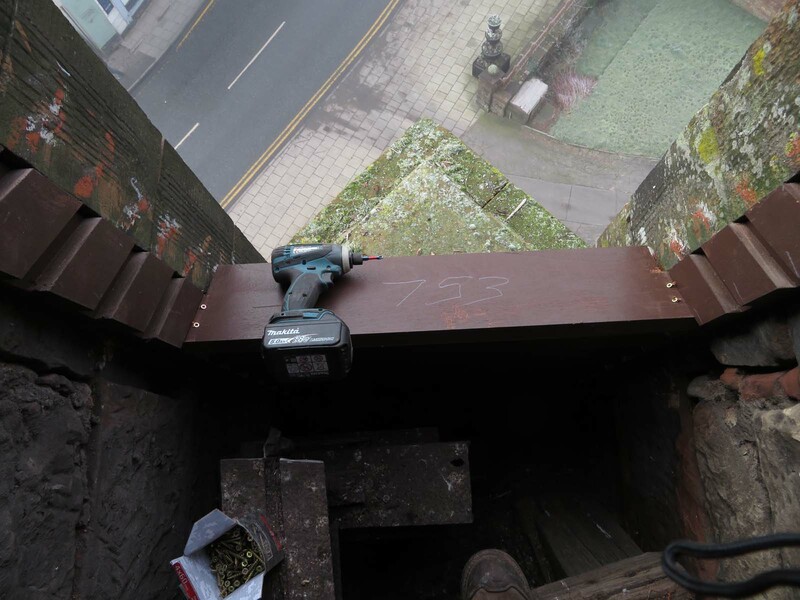 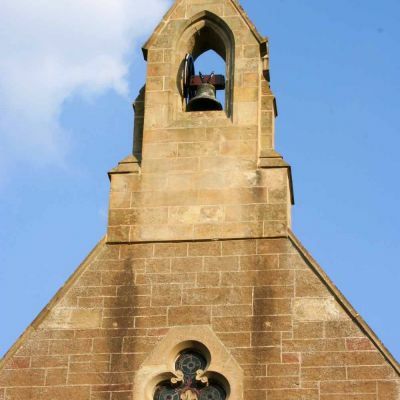 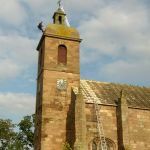 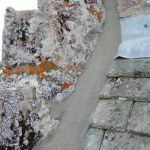 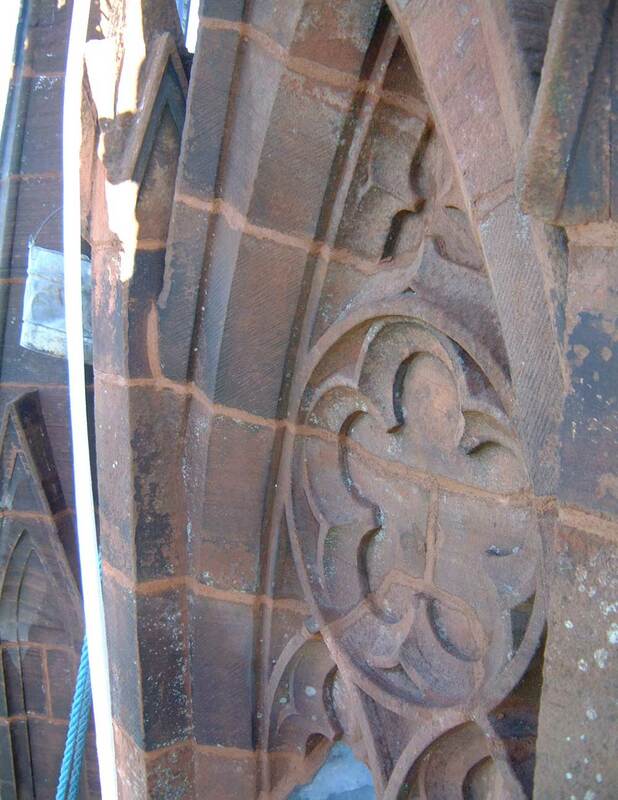 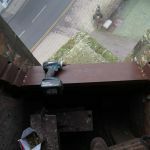 Although new stone could have been specified here we felt that it would be better to conserve the existing masonry and maintain the exact appearance of the belfry. With the dowels and cramps we have fitted these old stones will last for a great many years. 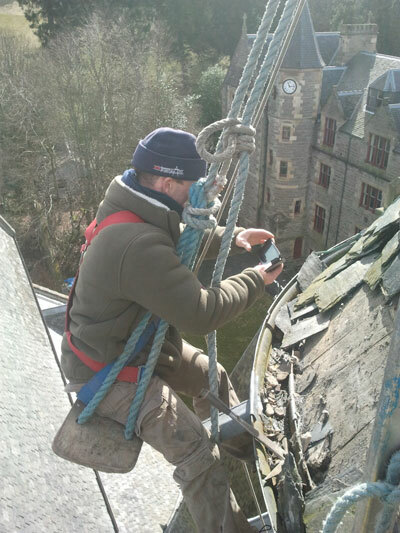 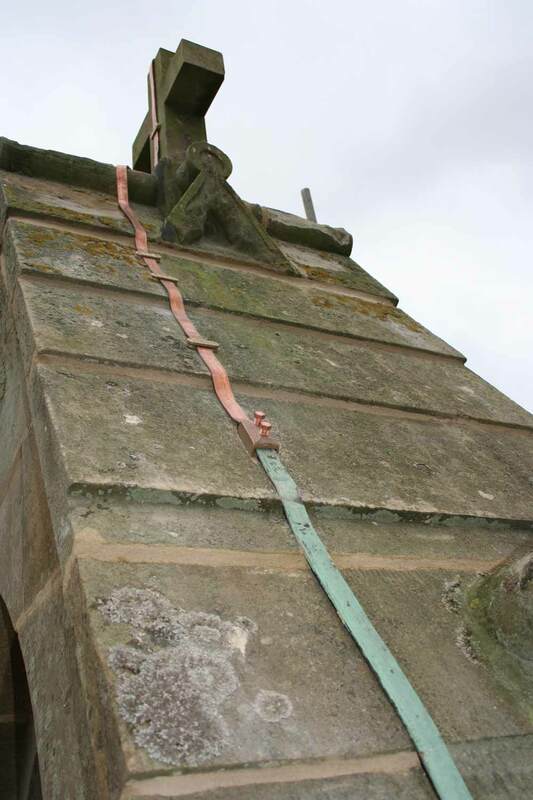 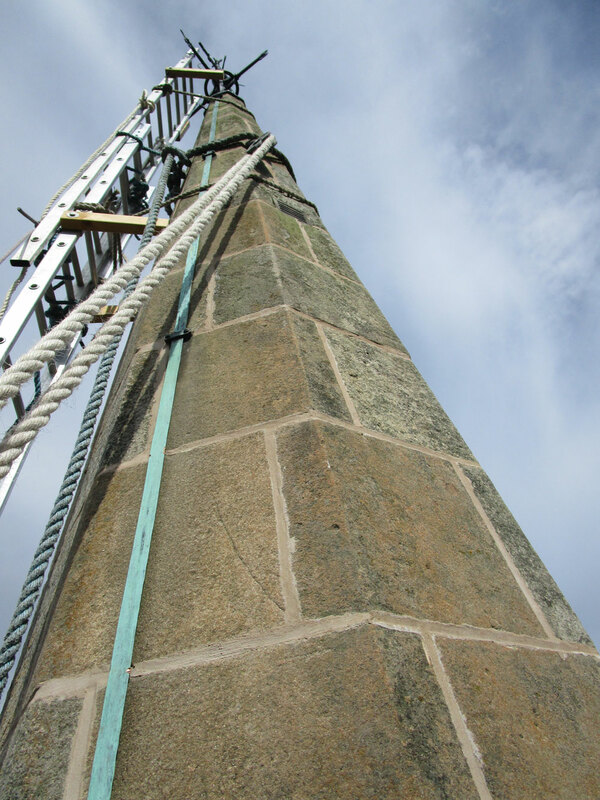 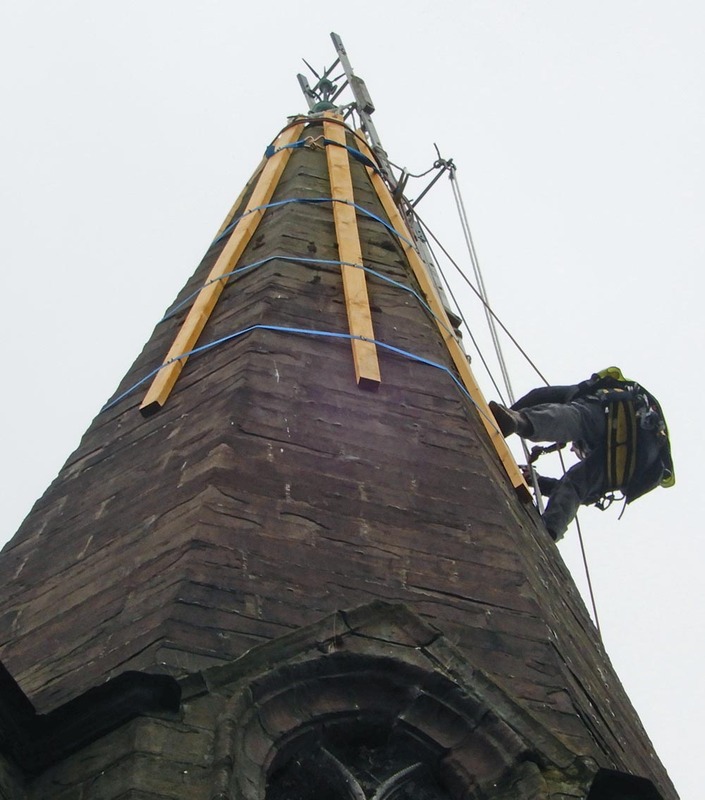 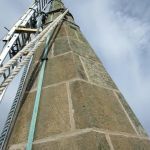 We also replaced the buckled old lightning conductor tape at the head of the belfry with new tape.